Recently we’ve seen a number of exciting new horror titles both indie and mainstream, and while some of them seemed to lean too much toward the action shooter crowd (Resident Evil 6 and Dead Space 3 we’re looking at you) there was one that stood out head and shoulders above the rest as likely one of the most terrifying games ever created. Slender: The Eight Pages. 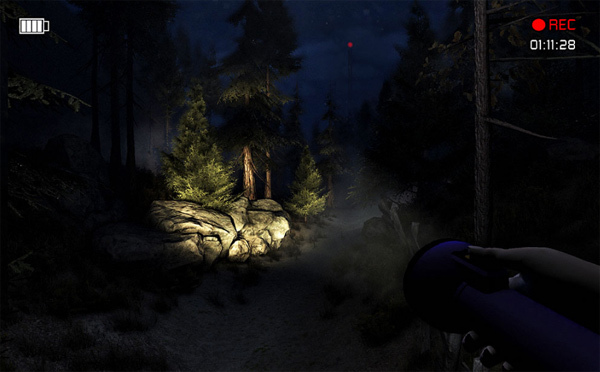 Originally created as part of an online contest to edit photographs to contain “supernatural” entities and then pass them off as legitimate on paranormal forums, the Slenderman has become somewhat of an internet sensation partly thanks to a small downloadable game that featured the terrifying “supernatural” creation as the main antagonist. When this happens, start to run! Slender: The Eight Pages may have been merely an experiment of Mark Hadley’s (or AgentParsec as he’s known to many) but it managed to deliver a true sense of fear that so few forms of media have done in the last ten or so years. Armed with just a flashlight it was your job to explore a dark, eerie forest searching for eight pieces of paper scattered randomly around all whilst avoiding the deadly gaze of the Slenderman himself. Catch him in your line of sight for too long and its game over. It may all sound very standard on paper but Slender worked so brilliantly thanks to a number of well executed ideas – ideas that make the transition to the beta in an even more immersive and effective manner. The beta for The Arrival itself is effectively just an updated version of the original Eight Pages experiment albeit with some new tricks and a huge boost in visuals. You are still wondering around a creepy forest at night searching for eight pages as the “supernatural” force constantly stalks you on your journey. If you’ve played the original then you know what to expect. However that doesn’t make it any less scary! First of all let me just say that the team of Hadley and Blue Isle Studios have done an amazing job of updating the look of Slender. At first I was concerned that the visual upgrade may detract from the overall fear – after all it was its simplicity in its look of the original that really helped raise the fright factor, but if anything it’s done the exact opposite. Thanks to the graphical boost now the environment can stretch up hills and down trenches, scenery has much more detail and fog slowly shifts across the tall grass created a real sense of atmosphere that the original never quite could. The woods now seem like they’re alive and even before you consider the Slenderman himself, offer a genuinely sinister fee. One always feared area of mine in the original game featured a small building complete with narrow corridors and plenty of opportunities for the Slenderman to appear at a mere turn of a corner. The same feeling of dread occurs with The Arrival only this time made worse by the way of added little details like the buildings worn down walls, disgusting toilet cubicles and a random assortment of other creepy extras that make you question what the hell might have happened here. It’s truly bone chilling. The presentation is also improved; adding a neat video camera effect to the proceedings complete with a record and battery icon in the corners of the screen. As your search goes on, things get more crazy with static filling the screen and Slenderman appearing as if a glitch on a monitor. It’s a unique way of presenting things and a welcome improvement over the poorly designed Slenderman of the original. A nice little touch in the beta is that the pages as well as the points of interest seem to generate randomly every time you play. If you find a page by the burning canoe on one playthrough, don’t expect it to be there next time. Whatsmore don’t expect to even see the canoe in the same place either! This little addition helps create a true sense of the unknown; panicking as you try to grasp your bearings amidst a fresh new attempt. The brilliant thing about the Slenderman is that he isn’t like your typical enemy in a video game. Zombies will predictably shuffle along, soldiers will duck, dive and shoot at you and ghosts may float toward you. It’s expected stuff. Slenderman on the other hand doesn’t move at all. He’s just… there. You might catch a glimpse of the tall suited figure in the distance behind a tree (which is damn creepy in itself) or you may even have the unfortunate pleasure of him appearing just behind a truck as you strafe around it. It’s quite remarkable that something that doesn’t move nor pose no immediate threat can fill you with such fear. Things start off quite creepy as you collect the first couple of pages with an odd appearance in the distance here and there, but quickly ramp up to outright terrifying as you slowly reach your intended goal of eight. With one page to go the music reaches its climax and Slenderman resorts to appearing directly in front of you for what has to be some of the biggest scares I’ve had in a very long time. And the sound. Outstanding. From the eerie silence broken by the occasion sounds of a passing gust of wind to the slow to the slow beat as you grab your first page, even the little of noises manage to elevate your fear even further. With the background music getting more tense and severe as you collect more notes, you’ll dread finding another. The timing of the loud sounds when the Slender Man surprises you are also so perfectly done that I can’t count one time where it didn’t make me jump. 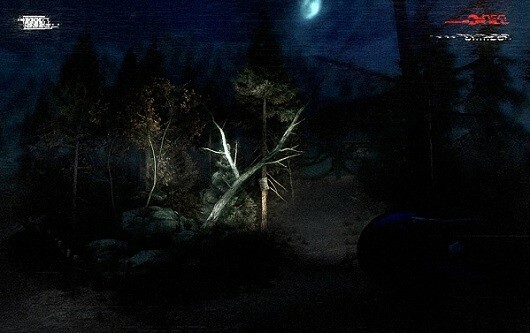 With the Slenderman: The Arrival beta offering just a taste of what’s to come in the full game, I can’t wait to see what terrifying ideas the guys at Blue Isle have in store come March. pre-order Slender the Arrival now!